A huge night of action is set to unfold at the Murray Machining and Sheds Murray Bridge Speedway this Saturday night with a high-quality field of Street Stocks set to do battle in the final round of the MJS Street Stock Series along with the U-Pull It Demolition Derby World Record Attempt. A field of over 30 Street Stocks is expected to compete, in addition to over 100 cars in the forward only Demo Derby, ensuring that there will be plenty of car crunching action in what will be one of the most entertaining nights of the MMS season calendar. 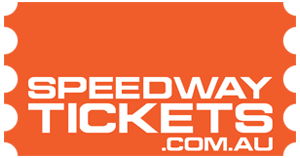 Currently there are 114 cars entered for this Saturday night’s record attempt and the event organizers are confident that the record of 123, that was set at the Todd & Pollock Speedway, Mount Maunganui in New Zealand on 16 March 2002, can be taken off the Kiwis this weekend. Nominations for the Demolition Derby are still currently open. Despite a long hard season, the Street Stock numbers for the final round of the State-wide MJS Series are still extremely strong with some of the best drivers in the country nominated. Current Australian Champion Anthony Beare, along with the current Australia #2 Mick Dann, will renew hostilities along with former Australian Championship podium placegetters Cory Sandow and Carey Weston. Northern Territorians Justin and Sam Brumfield have plenty of track experience at Murray Bridge and are expected to be towards the pointy end of the field along with NT State Champion Jason Duell. Then throw into the mix the likes of South East resident Jayden Edwards, SA Champ Steven Gartner, local track expert Nigel Reichstein, Darren Flatman and Heath Thorne and the “Streeties” should produce a first class show. At each of the MJS rounds the 30 lap A-Main is always an interesting race as the journey is split into two segments with the racing direction reversed after 15 laps so it always produces a level playing field. Joining the Street Stocks on the speedway racing part of the program will be the Junior Sedans and the highly popular Modlites.